Christmas morning is such a magical time, isn’t it? Especially as you watch your kids walk into the room (sometimes sleepily or sometimes full of all the energy and excitement in the world!) and notice that special gift, that gotta-have toy they asked Santa for. For many people, that special toy is a remote control – RC – toy! They’re not just made for boys – girls love ’em too. And truth be told – let’s face it folks, they’re not just for kids, right? We all know parents find it hard to give back the remote after “test driving” it on Christmas morning. 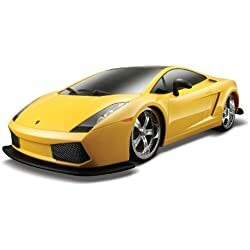 I have always loved RC cars, but some of them are poorly made – and because some manufacturers charge a lot for this action toy, I want to make sure you’re buying something worthy of your investment. 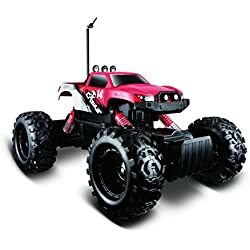 So we’re going to look at a hot RC car this year – the Maisto RC Rock Crawler, rated the #1 bestseller on Amazon today. 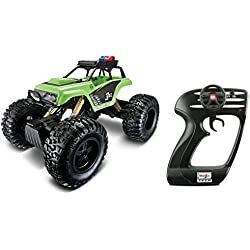 This particular RC car has a set of motors and low gear options so that when your kid wants to take it on ground that’s not a perfect street or sidewalk, it can perform without getting stuck. Part of helping the car stay in motion is the front and back suspension, which helps keep the tires firmly on the ground. Because the car takes quite a few batteries, 6 double A for the car and two triple A for the controller, I recommend you invest in some rechargeable batteries. 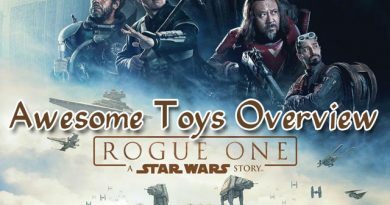 That way you’re not forking over an endless stream of money for one toy. 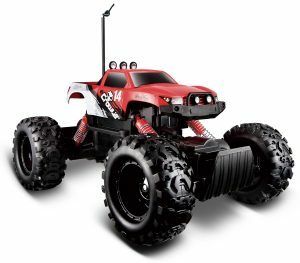 Now you’ll notice that this RC car has a transmitter with three channels. That’s because they specifically want you to be able to race or play with others. You can have three of these cars going at the same time. 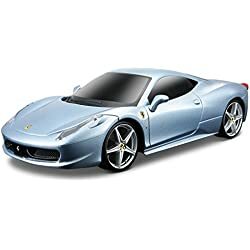 People who have bought this particular RC car aren’t looking for some form of perfection. They just want something cool to play with that does what it says, and this car fits the bill. They love how affordable it was. Some of these cars cost over $100 – and this one is just under $30. That’s a great gift idea for families on every type of budget. Now once you’re a true collector, you might want to level up, but this makes playtime fun. As promised, it appears that this car does indeed go over all sorts of terrain. Those who bought it and tested it say it does well off road – and we all know some companies like to say that, even when it’s not true. One cool thing that I loved to hear is that this RC car did well in less than perfect weather conditions. Consumers say they drove it in the rain and through puddles and it didn’t miss a beat. That makes for some serious off-road fun when your kid can go mudding with their RC car! Now there are always some drawbacks with products (even for those fancy toys that cost an arm and a leg). One thing people mentioned, but kind of shrugged off, was the sound of the motors. 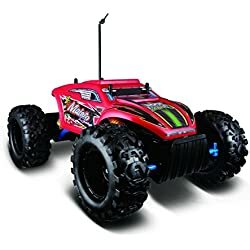 When you have a cheap RC car that is capable of being so mighty, it makes sense that you’ll hear the strain on the engine as it tears up the terrain. So I wouldn’t worry about this too much. Your kid won’t even notice it most likely. 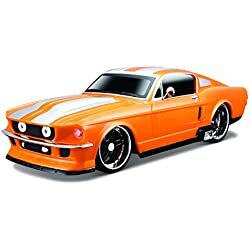 Normally, I’d be skeptical of an RC car under $50 that was worth the money. But this product has over 1800 reviews – and it boasts a nice 4 star average. That’s impressive. 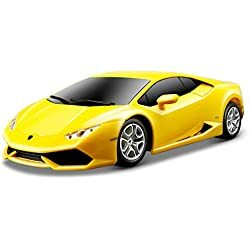 I also like the way the car looks. Have you ever seen those monster trucks with wheels the size of a house and what looks like a matchbox car on top? Well, that’s kind of how the ratio of size is here – it looks awesome with big tires. From what I read, this looks like a step down from a collector’s edition, but a step above a basic cheap RC car. 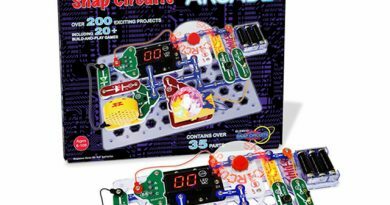 So if you’re looking for something fun for your kids, this toy hits the spot – and fits most budgets nicely. 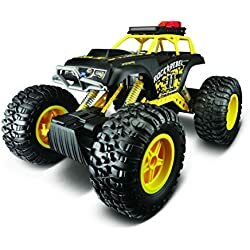 By the way, Maisto also makes an RC car called the Rock Crawler Extreme – and it’s about $10 or so more than this one, but it has three motors instead of two – including one for steering. You may want to check that out. 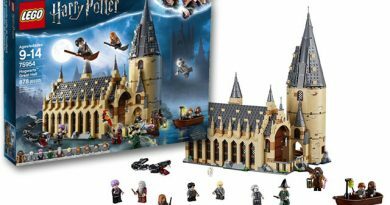 It’s also rated 4 stars, with over 800 reviews! To save yourself the hassle of having to run out Christmas morning to find the batteries you forgot, just order them online so you get them with the product. I recommend the AmazonBasics AA Hig Capacity Rechargeable Batteries. You get 8 in a pack and they come already charged for you!